If you are wondering why there are winter tires in the first place, this is because the tires for other seasons are not designed to handle the cold weather well. For instance, there are certain features that the summer tires have that the winter tires don't have which make it better for warmer weather. One thing that summer tires have is firm treading. This is so that you can have better traction and maneuvering in warm weather. However, when winter comes and the weather gets cold, the treads become stiff which make it easier to lose control of the vehicle. 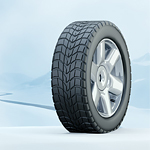 The winter tires have deeper treading as well as flexible treading to handle the winter cold. However, colder flexibility leads to being extremely squishy and quick wear. At the same time, winter tires make it hard to maneuver in the warmer weather. These are some of the reasons that you should change your tires.